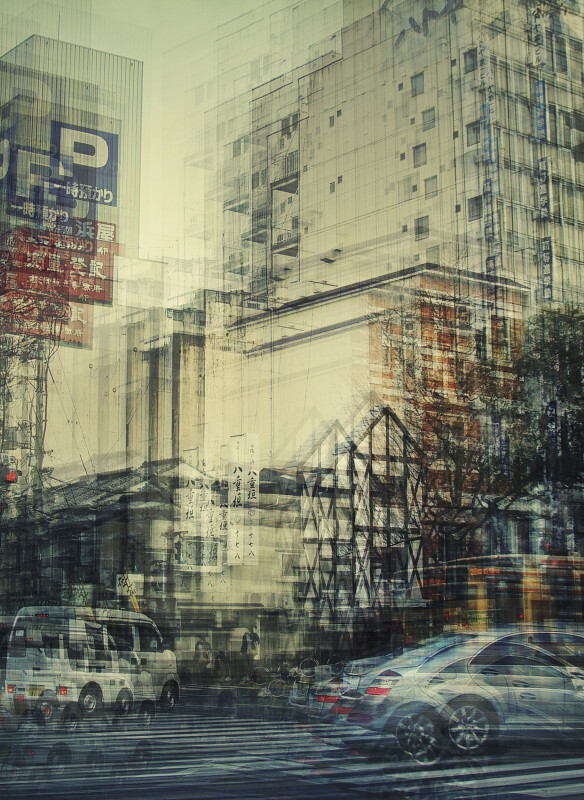 I am thrilled to have on this week’s Art Talk the photographs of Stephanie Jung. 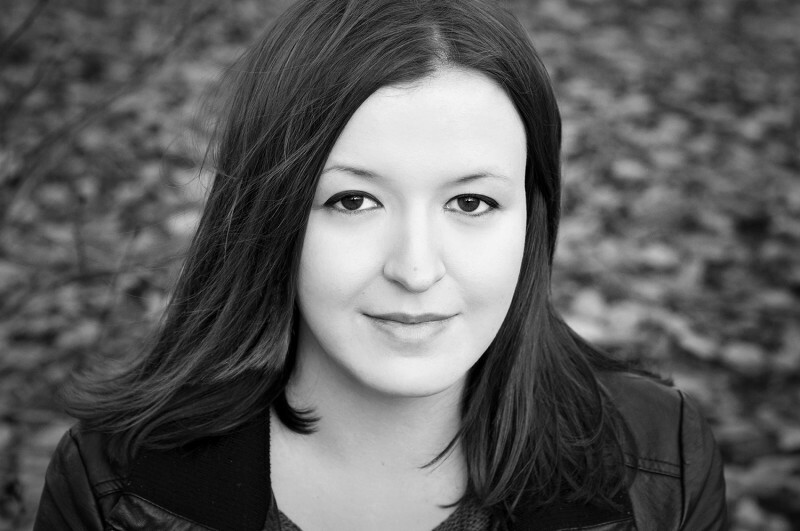 Stephanie hails from Schifferstadt, a small town in South-West Germany and has been creating art through her photographs since her days studying visual communications. Stephanie’s strong individual perspective and unquestionable skills make this would-be photographer green with envy. 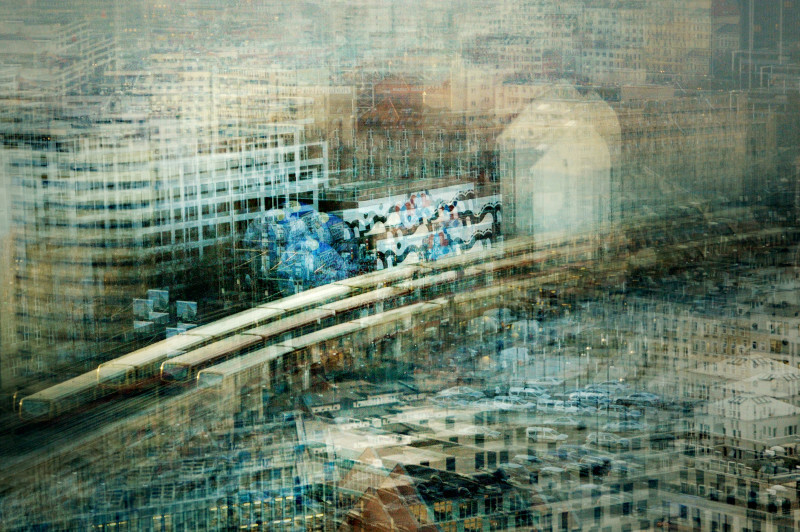 Her photos capture the distinct character of various cities through the use of multiple exposure photography, a technique she’s been honing since her early years of experimentation. 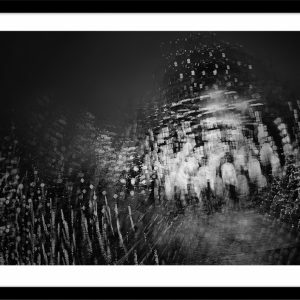 As a result her photos communicate vibration, manic movement, transience and slight shifts in perspective – all as if rendered in slow motion. 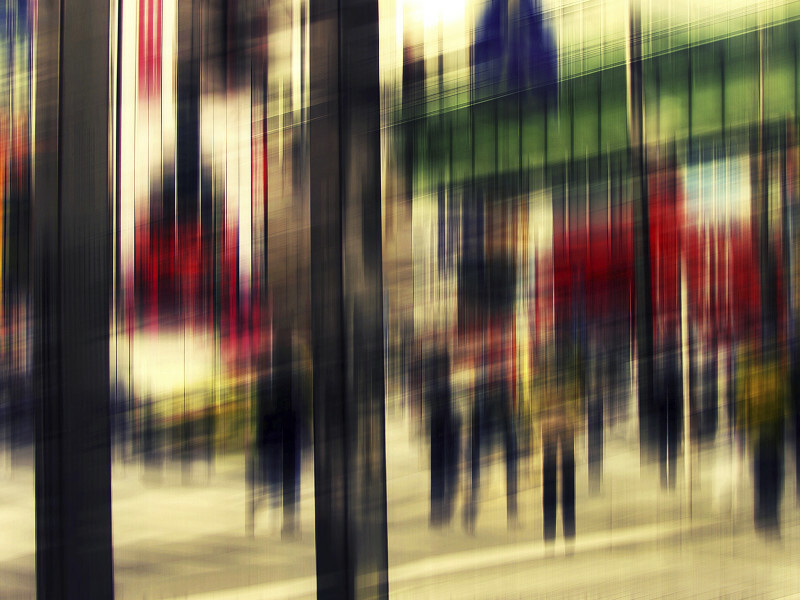 These traits paint a picture of a fleeting contemporary urban life. 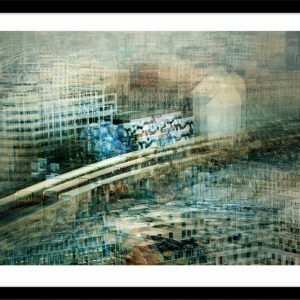 To a city-dweller, like myself, these scenes should feel “normal” as this is the world in which we are surrounded, however Stephanie’s work feels ethereal, transporting the viewer to dream-like versions of her chosen cities. 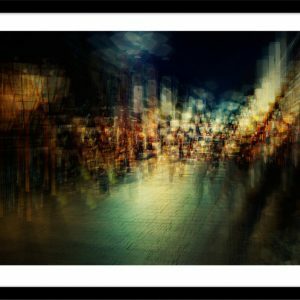 She even breathes new life into cities that suffer from tourism overexposure such as Tokyo, Paris, or New York – cities we are used to viewing on postcards or fridge magnets displayed in many a camera-toting tourists’ home. Stephanie’s perspective on these cities is fresh, invigorating, and very much her own. Tell us, Stephanie, what was it like in the earlier stages of exploring multiple exposure photography? I realized that I like abstract photography during my internship, where I learned a lot from a professional photographer, she really inspires me with her work. 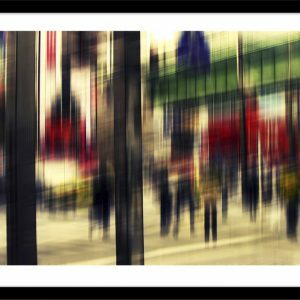 I love how you can show movement with blur, I really love abstract photos and the mood they create. 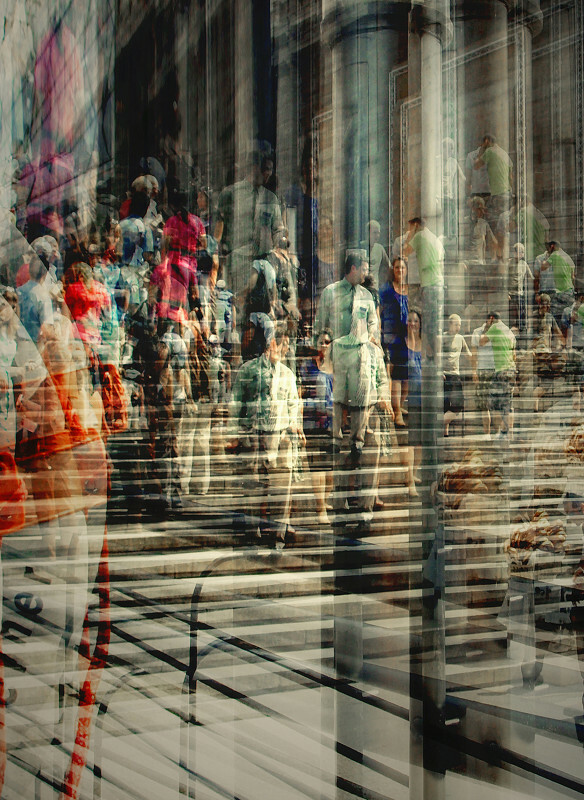 The multiple-exposure shots was something I discovered when I was in Paris. I spent one day at the La Defense district, which is very busy most of the time. There was one moment when I wanted to increase this mood, so I started to experiment. Although I liked the results, I didn’t continue working on it until I visited Japan one year later. I was fascinated by this country, especially the big cities like Tokyo. 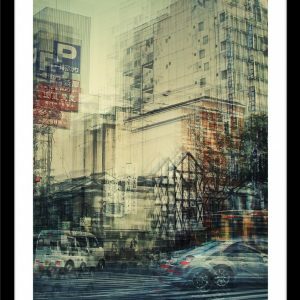 That’s where I started to work on multiple exposures again, it was the perfect way for me to intensify the feeling of Japan. 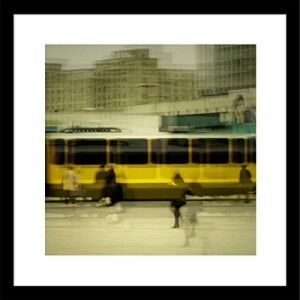 Your photographs comment about the transient life in cities so eloquently. 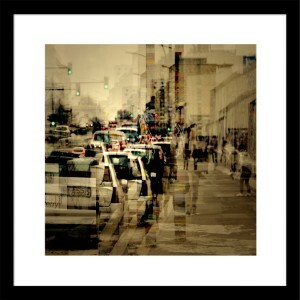 As a viewer and a city dweller, I think your work captures the ephemeral part of living in a big city. How easy or difficult was it to arrive at this way of presenting your narrative? Well, this was a process which I didn’t enforce. 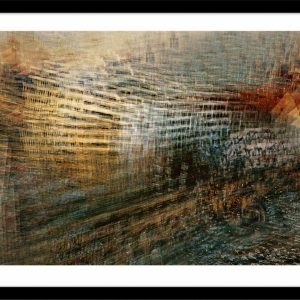 I started to focus on abstract photography because I was fascinated about the possibilities you have in photography. Taking classic pictures was something I was bored with in the beginning. During my internship where I spent a lot of time with a photographer and later friend in Berlin, I asked myself why I’m taking those photographs and why I choose those motives and experimental styles. So I started to think about the things in life I’m dealing with, what I’m thinking about and what I was questioning in life. This combined with looking at my early photographs I found out it’s the movement in life which matters to me and which I want to show in my works. So this all happened without me pushing my photographs in a specific direction, it was just something I did automatically. 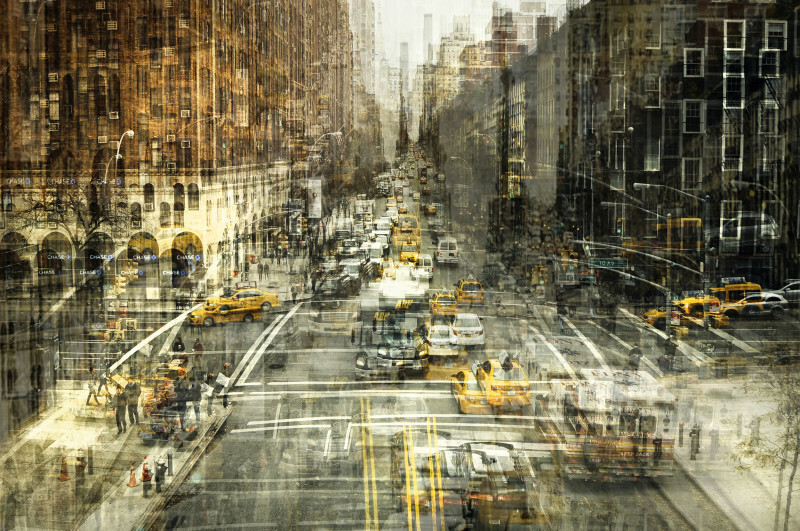 You’ve also depicted the pulsating, reverberating characters of cities like NY and Paris. You’ve shown quieter sides of Berlin and the calm side of Kyoto. And your Scotland photos exude whimsy. How do you ensure that you capture the variety of characteristics that different cities possess? This is a very intuitive process. When I visit specific cities, I walk through the streets, see some famous sights but also unknown places which I randomly discover. 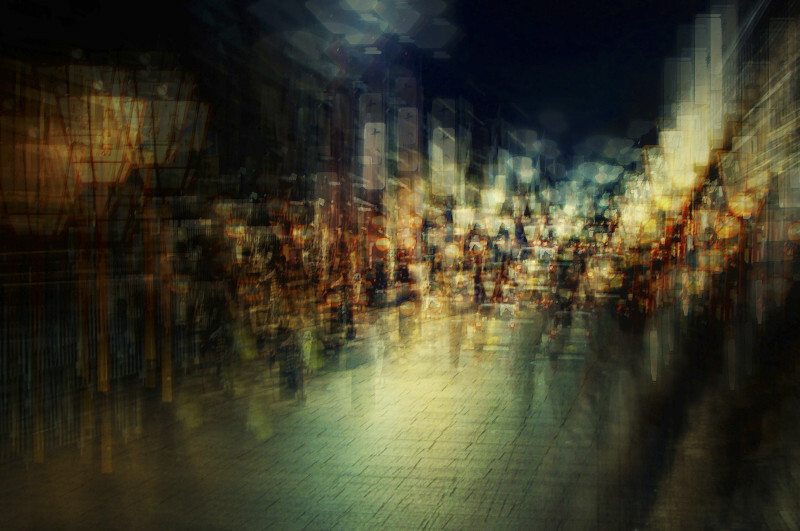 Every person experiences a place very differently, not everyone likes all facets or a city in general, others do. With my work I’m showing my personal view of a place, how I am seeing it. To see and feel the varying characters of a city, you simply have to explore it. It’s easier for me to capture a city, which I’ve never been to or which I don’t know that well. For example, I find it hard to portrait my hometown, which I know perfectly. Every time I try to take pictures of it, I’m not happy with the result. I know every corner of this place, this makes it hard to change my view of it and see new, interesting things which I find worth capturing. A friend and photographer once said to me, if you accomplish to photograph your hometown and be satisfied with the result, you’re a good photographer. I’m curious about the day I will manage that. 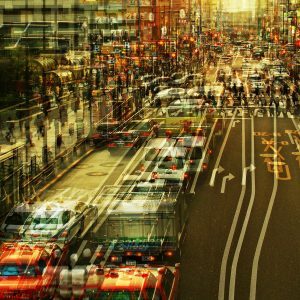 How do you choose then which not-so-familiar cities to photograph? On the one hand, I’m taking photographs during my private travels. Not every place is suitable for this kind of photography, although I’m always trying to achieve a good photo. On the other hand there are cities which I’d love to visit and take pictures of to continue my series. These are mostly big cities like Hong Kong or again, New York. What I’m looking for is an unique, mostly modern, architecture with many structures and a unique cityscape. What’s the best piece of advice you’ve ever been given about your art? My late friend and photographer Sabine Wenzel gave me the advice to not randomly take photographs, just because I’m passionate about it. It’s important to find a theme in photography which you’re always working on. To find something which is important to you and what you want to express through your art. What’s the best piece of advice you’d given anyone about their art? Of course that’s the best advice I have been given, as I think it’s so important for your art and changes a lot in your process. I would be silly if I wouldn’t share this valuable advice. How do you see your work evolving? What’s next for you? I’m currently exploring other fields of photography as well. Since 2014 I’m also focusing on people and portrait photography. It’s so different from my usual work, but I’m having a lot of fun, as I can work with people and it’s always a challenge for me to capture the character of someone. This is something I’ll keep doing as I enjoy the balance of client work and my personal art. Also, one goal for 2016 is to combine my art with people photography. I started to work on it last year, but only randomly, so this is something I’d like to extend in future.